Lately, I've had a stream of visitors come through my flat. Among them, were two Korean students from our church who were dying for Asian food. After a diet of mostly potatoes and ramen noodles for 6 months, they were ecstatic to get an invitation for an authentic Malaysian meal. While one of them entertained Little L with her impressive repertoire of arts and crafts, the other ended up helping me in the kitchen. Yup, that's me. I get my guests to work for their supper. I was racking my brain for a dessert that would satisfy everyone. Luckily, I came across the Naughty Chocolate Fudge Cake recipe. 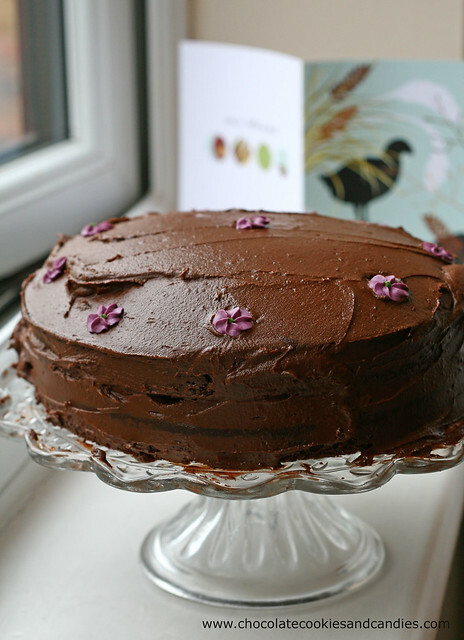 It has got to be the easiest chocolate cake recipe I've ever come across. You literally dump all the dry ingredients in one bowl, the wet in the other and mix the two together. The result is a moist, light and absolutely delicious cake. Just so you know, I made my own icing as I don't like overly sweet cakes. For the ganache, I melted an entire bar of Green and Black cooking chocolate into 75g of unsalted butter and beat the mixture with 130g of icing sugar and a drop of semi skimmed milk. You can try different variations of frosting to suit your taste. As usual, I've decreased the sugar by at least 30%. Sweet sandals....very cute :) And the cake looks way yummy! 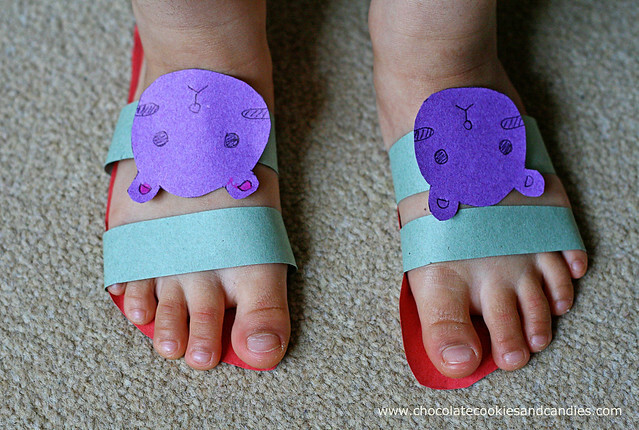 Those paper sandals are so cute! 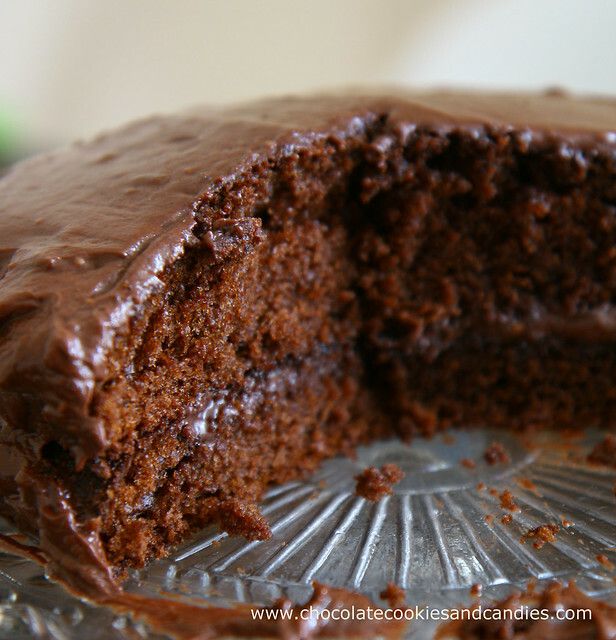 I've been looking for an easy chocolate cake, too - yum!! Ahem. I did just that. Except it was half of the cake. That cake looks so delicious! You just made me hungry! It really is yummy. You need more meat on your bones!